The wedding reception has come a long way from the “choose your entree” RSVP card. 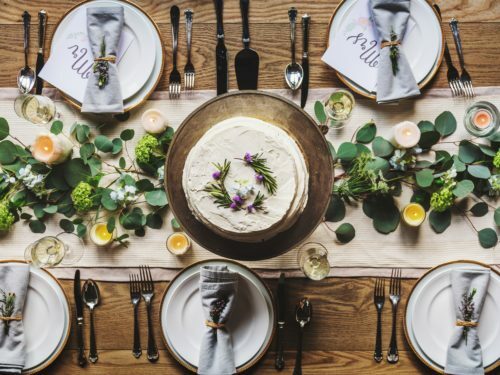 According to Pinterest’s 2018 Wedding Report, formal sit-down dinners have taken a backseat to unconventional food bars and comfort food favorites. Read on to explore the best wedding food trends of the season (spoiler alert, grilled cheese ahead)! While a glass of bubbly is always en vogue, alcohol-based slushes have become an addition to summer wedding bar menus. Frozen rose, or frosé, is one of the season’s coolest beverages for just about any occasion. Having a tropical wedding? Try frozen mai tais and pina coladas. Hired a taco truck? 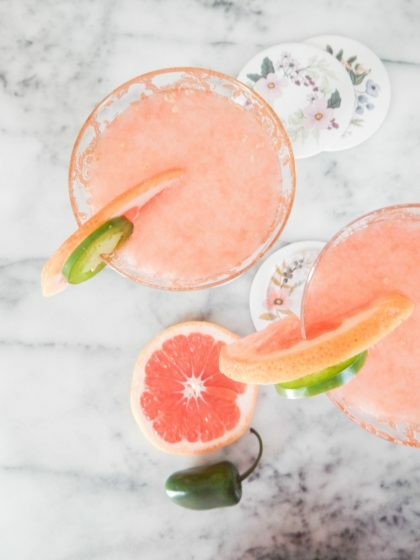 Frozen margaritas are a perfect pairing. Some couples opt to forgo a traditional plated dinner for craft cocktails and an array of passed appetizers. “It’s a way to have more fun with the food,” says Los Angeles-based Amy Jurist of Amy’s Culinary Adventures. Jurist’s clients choose an average of 15 options, allowing their guests to indulge in a variety of tastes and textures throughout the event. 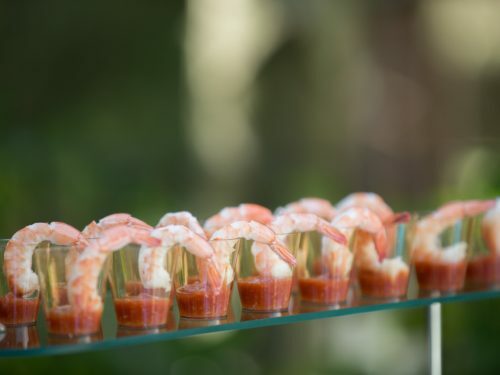 From oysters on the half shell to Hawaiian poke, seafood raw bars add an elegant, elevated touch to a reception dinner. 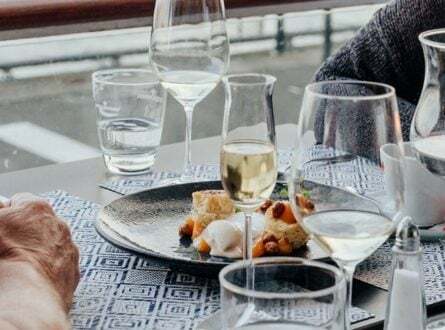 This option is a bit on the pricier side (even if you’re in a coastal area) but is a delicious extravagance that goes well with celebratory champagne. “Barbecue is big right now,” says Jurist, who has gotten numerous reception requests for deep South favorites. Pulled pork sliders, brisket, shrimp and grits, and a buttermilk biscuit bar with various jams and butters are popular options that bring a little Southern charm, no matter the wedding location. According to Instyle magazine, nostalgic foods like grilled cheese and tomato soup, mac and cheese, and donuts are hot for 2018. The best part? No need for a kids’ menu for the flower girl and ring bearer because these dishes are a hit for guests of any age. Full-sized slices of cake are so 2017. This year it’s all about the dessert bar. Instead of one or two choices, Jurist lays out over a dozen different types, from individual chocolate puddings to cupcakes, and truffles to macaroons. 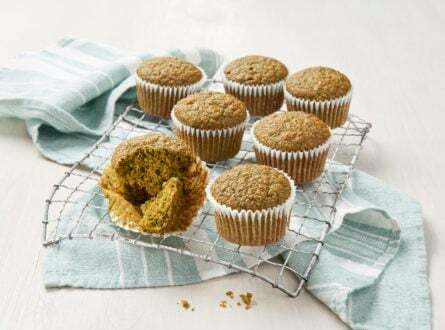 These treats are just one to two bites each, allowing guests to satisfy their need for something sweet without overindulging. Even with these offbeat options, don’t worry. Traditional wedding cakes aren’t going anywhere. While “naked” cakes were a hit a few years ago, this year’s are fully iced with traditional buttercream or fondant frosting. The plain cakes are then adorned with a simple design of ripe berries, fresh figs, edible flows and other botanicals, brushstrokes of edible metallic paint, or nothing at all. Still working on your wedding registry? Or looking for that perfect gift to wow the beautiful couple? 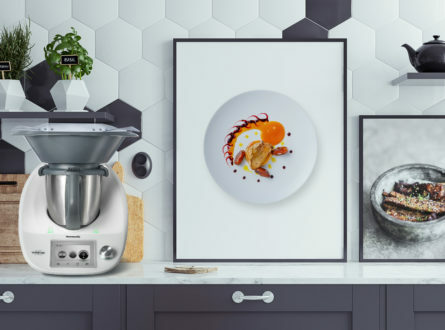 The Thermomix® is the only kitchen tool your home could possibly need, whether your cooking skills are amateur or pro. Sign up to learn more here.